MITZPE RAMON, ISRAEL–This is the beautiful 400-year-old Turkish wall surrounding Jerusalem. 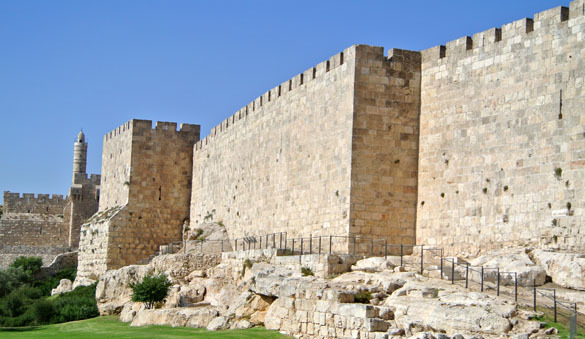 It and virtually all the buildings in Jerusalem is made of “Jerusalem Stone” (a set of Cretaceous micritic limestones, to be pedantic). When the sun rises or sets on them they turn the city into the fabled “Jerusalem of Gold”. Team Israel 2013 made the long drive up to Jerusalem with our colleague Yoav Avni to meet with geologists at the Geological Survey of Israel, and then visit Hebrew University and the National Natural History Collections. Of course, I also gave the students a tour of the Old City with its incredible history and multi-dimensional culture. Had to show an image of Yoav in his office. 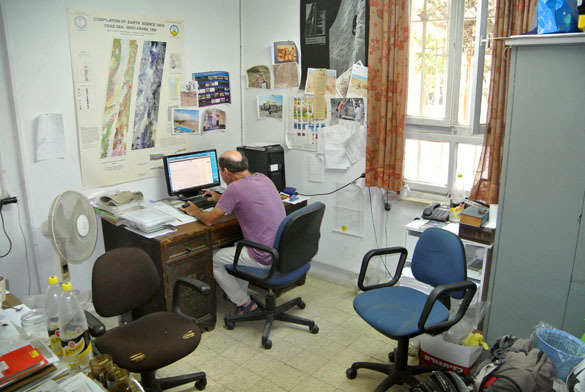 Typical geologist’s office, I’d say. The Geological Survey of Israel is housed in a century-old complex built as a school by Germans and then occupied by the British Army from 1918 to 1948. It is incredibly cramped so they are moving to new facilities in a few years. We saw many, many fossils and modern bones at the National Natural History Museum collections on the campus of Hebrew University. The staff was very generous with their time, and their enthusiasm was inspiring. 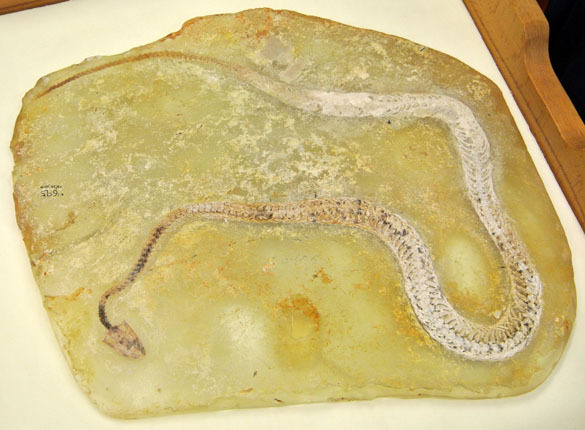 Our token image: a Cretaceous snake with tiny legs just barely visible. Our journey through the Old City was so much fun, even though we had to move relatively quickly. We walked here from the Survey buildings through diverse neighborhoods and then down the newly-renovated Jaffa Street. 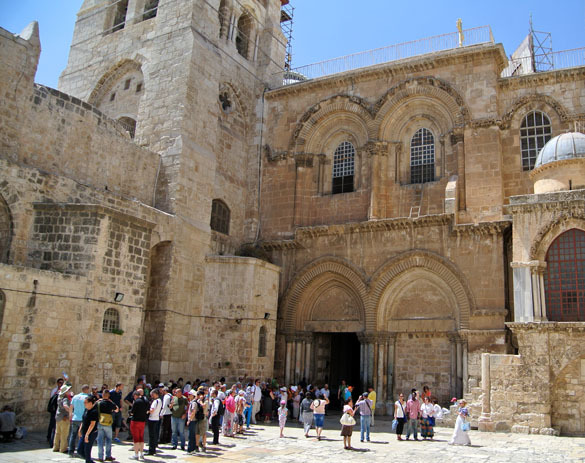 Here you might be able to make out the three Wooster students in front of the Church of the Holy Sepulchre. 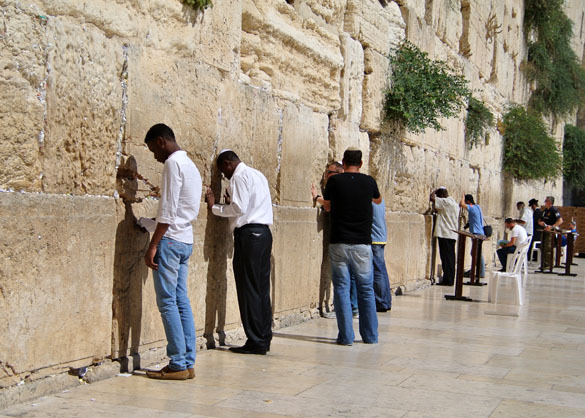 We also went to the Western Wall of the Temple Mount complex, a treasured site in Judaism. 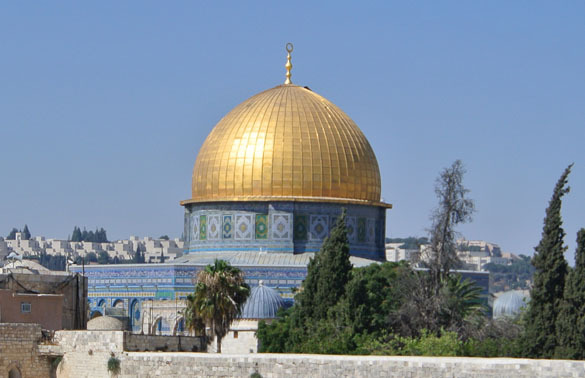 We couldn’t visit the Temple Mount because it was closed, but we did get this excellent view of the Dome of the Rock, an iconic Islamic shrine. 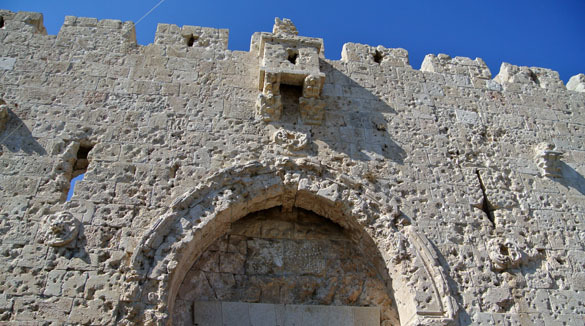 This is the outside of Zion Gate in the Jerusalem Old City walls. The innumerable bullet holes are a reminder of the violence this city has seen over the centuries. Most of these are from the War of Independence (1948-1949) and the Six-Day War (1967). 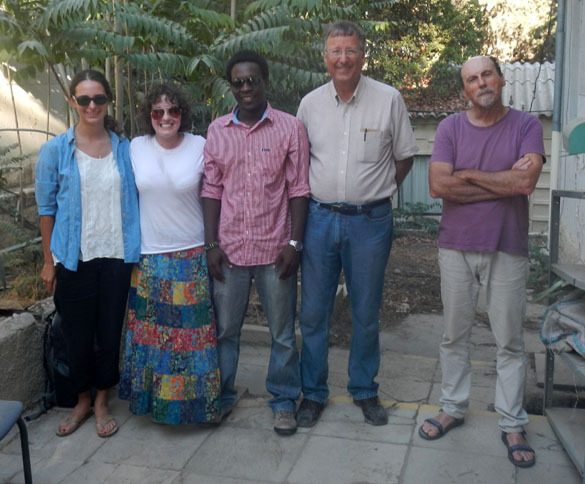 Finally, here is our last group photo: Steph Bosch, Lizzie Reinthal, Oscar Mmari, me, and Yoav Avni. Yoav is leaving for Jordan tomorrow so this is the last day he is with us. The photo was taken by my long-time friend, Israeli geologist Amihai Sneh. What a day in such a place.